Hugs for Hailey: Flying Questions. So our Make a Wish trip is coming up next month and there are about a MILLION questions I have. One of them is, "How the heck is Hailey suppose to fly on a plane if she can't sit up unassisted?" Well apparently that's a pretty good question because no one I asked that I thought would know the answer did. I don't know how often "medically fragile" children fly to begin with but everyone I asked responded with, "I don't know." I found out that Hailey's special needs car seat is not FAA approved and it's too wide for the commercial seat, so that's not going to work. I can't hold her in my lap the whole time. I could fly with my arm across her chest for 4 1/2 hours, but since I don't know when there might be a bump of turbulence that won't work. So. WHAT do I do? CARES has been used successfully by many children with special needs. Parents should check with their physician or physical therapist to determine whether CARES provides sufficient upper body support for their child. If your child is under 44 lbs (20 kg) and less than 40 inches (102 cm), no special arrangements with the airline are necessary – just carry the CARES on board and install it as directed. So it looks like this is the way to go as far as I can gather. I am a preparer I have to have a plan. I don't usually like surprises, I am hoping all goes well. 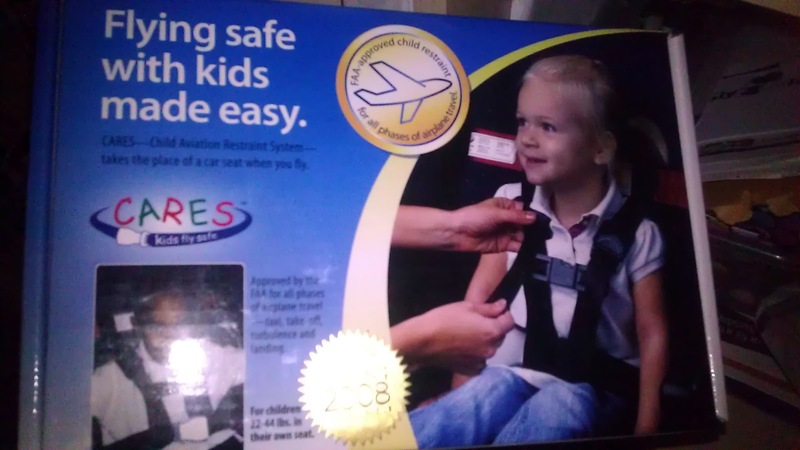 We were able to fine a CARES belt here locally, but it was still VERY expensive, which is crap. It seems that anything that is for "Special Needs Children." Costs an arm and a leg and people like us have NO choice but to pay. I hope this thing works, and it's comfortable for Hailey and the airline doesn't give us any trouble. We shall see. You know I'll let you know how it goes. NEW ITEM!! Hugs for Hailey Bracelets! Help Share out Etsy Shop.